Support multi-channel 3PIN fan simultaneously start. 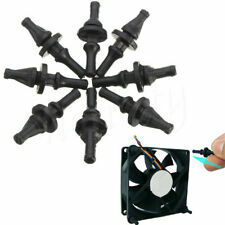 Fit for 12V 3pin cooling fan, 8 way total electric current ≤ 2A. 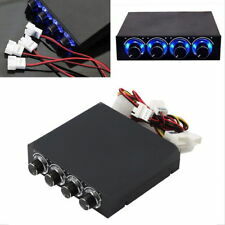 SATA 1 to 8 way cooling fan splitter hub. and power off. 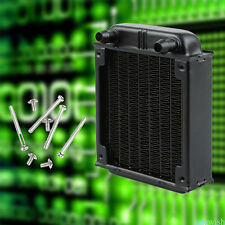 Widely used for PC computer water cooling system. Features: 5.25 inch fits perfectly in pc drive bay. 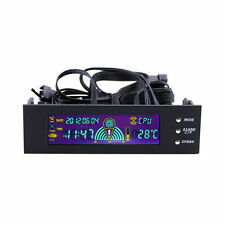 Light LCD displayer, makes it easily to read. Date and time display is included. Three available temperature probes, enable you to sense your preferences. CPU/HD/SYS 3 channels, can control 3 fans. Adjustable alarm from 5 to 90 Deg.C Fan speed controller. Temperature Measurement. Features:Your computer's fans are just like sports fans; they're loud, obnoxious, and never shut up.Take control of your fans with this 4 channel fan speed controller.Reduce noise and maintain proper heat levels to keep many the parts of your computer running long and running strong.With the ability to manage 4 fans at once, you’ll be able to silence all the rowdy fans you want, and walk away with a cool victory.Stylish housing with Ultra Bright LED lightDescriptions:Perfect tool that is useful,helpful and so practical.High corrosion and wear resistance.Good heat dissipation and long service life. Easy to use and to operate at affordable prices Specifications:Material: PlasticColor: BlackRegulated max power output:<30WVoltage of Fan 1, Fan. When the computer of temperature exceeds 60 degrees and when the fan stuck or is abnormal, the temperature icon displays and alarms. 2 USB3.0 HUB Interface,compatible usb 2.0/1.1. LCD Display. Digits Size : 15 x 7.8 x 4.2cm/ 5.9" x 3" x 1.6" (L W H). Power by: SATA 15Pin (Optional). An easy way to adjust the fan speed and cooling effect of the cabinet. Adjustable knob adjusts the cooling fan speed of all connected fans simultaneously. 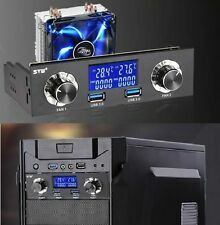 Features:5.25 inch fits perfectly in pc drive bay.Light LCD displayer, makes it easily to read. Date and time display is included.Three available temperature probes, enable you to sense your preferences.CPU/HD/SYS 3 channels, can control 3 fans.Adjustable alarm from 5 to 90 Deg.CFan speed controller.Temperature Measurement.In the initial state of module, press MODE, it can change the display of 3 kinds of temperature: CPU→HDD→SYS→CPU→……, the scope:0-99 Deg.C, accuracy:±2 Deg.CTurn On and Off the Alarm.In the initial state of module, press ALARM C/F, it can turn on or off the alarm.Change Temperature Display Mode.In the initial state of module, long press (press and hold) ALARM C/F for about 3 seconds, it can change ℃/℉ temperature display mo. Zalman FANMATE-2 Fan Speed Controllers. Condition is New. Shipped with USPS First Class Package. Features: Brand new and high quality. 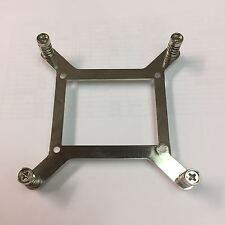 Heat Exchanger Radiator, Dimensions: 125(D) * 92(W)* 29 (H) mm Pure aluminum heat sink, 1 inch 17-20 fin The connector outer diameter is 9.5 mm Installed 90x90mm fan, mounting hole size:82.5*82. 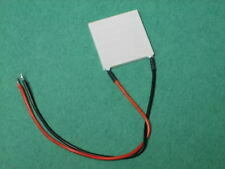 2X Thermal Pads (Thick:1mmx1,0.5mmx1). 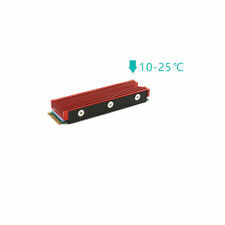 Heat sink with 10°C- 25°C cooling effect. (PC case inside air flow very important). Siz e: 76 x24x6.3mm. Support all within 12V 5A fans, synchronous rectifier output, high efficiency! It can be opened with a three-wire fan monitoring function (stall warning). TFL (No. 1): The lowest temperature channel PWM setting, when ON state FAN1 PWM minimum is 40%, when OFF the minimum PWM of FAN1 is 20%. Ultra Silent. (2 NSK Fan). 7CM NSK Fan. 5V 0.2A USB DC power 7cm NSK Fan. (2 Protective cover). Features: Your computer's fans are just like sports fans; they're loud, obnoxious, and never shut up. Take control of your fans with this 4 channel fan speed controller. Reduce noise and maintain proper heat levels to keep many the parts of your computer running long and running strong. With the ability to manage 4 fans at once, you Brand Unbranded/Generic MPN Does not apply EAN Does not apply GTIN Does not apply UPC Does not apply GTIN Does not apply. NEW CPU Cooling Fan Cooler for Apple Mac Mini A1347 2010 2011 2012 922-9557, 610-9557, 610-0056, 610-0069, 922-9953, 610-0164. 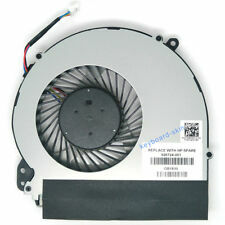 CPU Cooling Fan for Apple Mac Mini A1347 2010 2011 2012. Mac Mini A1347 (EMC 2364) (EMC 2442) (EMC 2570). CPU / HD / SYS temperature probes. Adjustable alarm from 5°C - 90°C. On and Off Alarm. 5.25" perfectly fit into most drive bay. LCD Display. 8W per channel. If item is defective after 3 months, you can still send it back to us. Axial muffin fans are used for DIY projects requiring cooling and ventilation, with sizes including 80mm, 92mm, 120mm, and 172mm. The cord length is 6 feet. The power plug can be plugged into standard wall outlets. 8 X Rubber Cooling Fan Mounts. Material: Silica gel. Second gear - 85% of the original fan speed of 85%. Third gear - 70% of the original fan speed of 70%. Third gear adjustable speed. The most high - 100% of the original fan speed. Do not have to open the chassis speed. 103(L) x 103(W) x 30(H) mm. Specification: Type: CPU Cooloing FAN Condition: 100% Brand New! Quality: 100% Replacement and High Quality, Each Keyboard Is tested before shipping and are 100% working Compatible Model: for Dell Inspiron 17R N7110 Laptop Series Package Included: 1x CPU Fan Note: Please refer to pictures for more details. The item shown in this picture is exactly you will received..
At this temperature setting,holding the probe with the palm of the hand will accelerate in a few minutes.If the probe is clamped into the armpit,it will reach full speed in 2 minutes. Acceleration temperature 30. Supports computer parts with cooling fan, like CPU, HDD, DDR, VGA, etc. Molex 4 pin male and female connectors available for power. Cable length: 35cm. Support 3 channels fan speed adjust simultaneously, total 18 Watt Max. 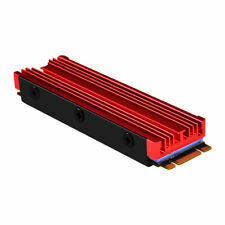 1 x 25x25x10mm Fan 12V 0.10A. 25mm mini fan for CPU, GPU, small electronics or hobby use.Technical Specs. Air Flow (CFM): 0.59 - 0.85. Speed (RPM): 9500 - 14000 ± 20%. Temperature range: -10℃ to 60℃. Ingress Protection: IP58. Weight (g): 2.9. Warm reminder: If the fan's current between 1A、3A, also can use this section of the governor, the governor just need to increase the heat sink can be, where the heat if the installation conditions, then, will the governor piece on the fan outlet, use a fan to give the governor the cooling fins, so no need to increase the heat sink governor can drive 1A~3A fan. Fit for most of the cpu air cooler which has 12cm fan. (more then 2 heatpipes' heatsink). 1 Pair CPU cooler Cooling Fan Mounting Clip Circlip Buckle (2 pcs). Fit for most of the CPU air cooler to install or plus more then 1 cooling fan. This is a brushless 4" AC cooling fan. This is a nice fan. 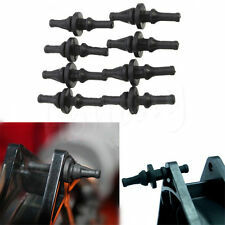 Rubber fan mount screw for your computer PC case. The rubber fan mounts help stop vibration which runs more quiet and makes it easy to install a fan in your PC case. 10XRubber Cooling Fan Mounts. We will do our best to help you to resolve your problems. Trending at $1.39eBay determines this price through a machine learned model of the product's sale prices within the last 90 days. This Female 4-Pin Fan Connector Kit Allows You To Create Your Own Fan Power Cables. Air Flow (CFM): 0.38 - 0.57. Speed (RPM): 7000 - 9000 ± 20%. Temperature range: -10℃ to 60℃. MPN: MX2508GNH5. Weight (g): 3. UPC: Does not apply. Electric DC fan made by Sunon. Airflow: 41.7 CFM. Noise: 34 dB. Speed: 3000 RPM. This cable convert the standard 4 pin fan to Dell styles 5 pin Latch styles. Application:DELL fan dedicated. 1 x Dedicated fan conversion line. Material: Plastic shell,Tin plated copper wire. We will try our best to reduce the risk of the custom duties. AMD Wraith Max cooler, with RGB LED AMD Wraith Max Thermal Solution. Trending at $40.65eBay determines this price through a machine learned model of the product's sale prices within the last 90 days. Fan Size: 80mm 80mm. Color: Transparent. Type: Case Fan. LED: 4 red LEDs. Quantity: 1 PC. Bearing Type: Sleeve. Compatibility: Case. No local pick up. Fan cooler for PC laptop Type: Laptop CPU fan DC 5 V 25 A Color: As shown in the photo 100% Brand New, High Quality A compatible laptop model is included: IBM Thinkpad T60 series laptop IBM Thinkpad T60P series laptop Package Contents:1 X CPU cooler Note: Light shooting and different displays may cause the color of the item in the picture a little different from the real thing. Continue to strive to make Platinum Micro, Inc. parts, accessories, etc. for this Manufacturer Part Number. has been received. utilize warehouses across the Continental United States. 100% NEW CPU Cooling Fan for Mac Mini A1347 2010 2011 922-9557, 610-9557, 610-0056, 610-0069, 922-9953, 610-0164. 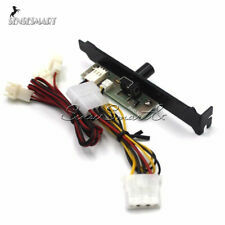 CPU Cooling Fan for Mac Mini A1347 2010 2011. Mac Mini A1347 (EMC 2364) (EMC 2442) (EMC 2570). It is ideally suited for use in CPU, GPU cooling and other applications between power semiconductor components and heat sinks where thermal conductivity is a major factor. High Thermal Conductivity. Low Thermal Resistance. Specifications: Description: Features 4 Pin Male to Female Connector. Easy installation. Long service time. Designed with a resistor on the cable. Quite practical and useful. Use the resistor cable to connect the power supply to your cooling fan, it will reduce the speed of the fan and cut the noise output dramatically. .
1X Heat Sink(Heat Sink only, not include M.2 SSD). Patented Thermal Structure Design, Easy Installation, Solid, Double-sided Large Area Heat Dissipation Strong . Dust-proof, CNC For Seiko Create, Good Heat Dissipation! Application: applicable to 12V 3PIN fan, total current of 8 channels can not exceed 2A. Manual gear to start the fan with high speed (HIGH) or low speed (LOW), and turn off the fan. 1 4P Powered Fan Hub Board. The fan is a 4-pin PWM fan, which is very important. Connect the motherboard 4-pin fan interface, BIOS starts the PWM function. 1 10 Way Cooling Fan Hub. Applicable to 12V 4Pin fan (10 channels). Connection Cable Length(approx.). Perfect for anyone trying to protect themselves from EMF's, or wifi radiation. Also, very easy to use for Earthing, Grounding silver fabrics. Has a 100kohm resistor for safety. Just plug it into your bottom hole on a 3 prong outlet that is properly grounded, and you are set. This is a new in box 3" AC cooling fan. Its a 3100 rpm fan. 32 CFM airflow. Airfoil-shaped blades for efficiency and quieter operation. Remarkable Touchscreen. Individual fan speed can be adjusted in manual mode. Efficiency Mode. Tuned for best cooling performance, automatically adjust all fans to its fastest or slowest speed. Fan channel quantity: 5. Sunon MagLev MF60120V1-C180-S9A DC5V HP Cpu Cooling Fan. Item Condition: Original New.